Codeta Casino closed its doors on January 23rd, 2019. 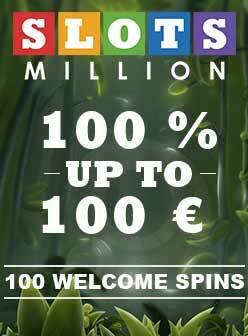 Usually, we report on bonus offers or new software developer games being added to casinos. For example, we recently told you about games from Stakelogic which are now available on SkillOnNet’s platform. Unfortunately, we have some bad news to report today as Codeta Online Casino has ceased operations as of January 23rd, 2019. The market for online casinos is competitive and there are many operators in this space. Some of these are more successful than others, and a small number of providers are on the edge. Unfortunately, the online casino Codeta is one such company, which has been forced to declare bankruptcy. The good news is that players’ balances are protected as they have been transferred to another EveryMatrix platform casino, Jetbull Casino. But while the real money balances were transferred to the new casino, the bonus credits were not. If you had a gaming account with Codeta, you can now log in to Jetbull using the same login credentials. Player account balances were transferred to Jetbull Casino. In September 2018, there were rumours on the Internet that the casino was experiencing financial difficulties leading to employees and partners not being paid, even after loans were taken out. Sadly, the rumours of difficulties in this case have been confirmed. While cases like this are inevitable from time to time, there are many other casinos that are more established so you do not have to worry about the provider suddenly closing. This includes the casinos LeoVegas, SlotsMillion or Wunderino. Don't miss any good deals! I am a great fan of gambling, I became a croupier to finance my studies. After my high school diploma in economic and social sciences , I obtained a bachelor&#39;s degree in economics and then a master in philosophy with a thesis on player behavior. After working in an online casino customer support, I became a writer on FeedBack Casino.